Place one cookie at the bottom of a ramekin or glasse and repeat for the other cookies. Reserve. 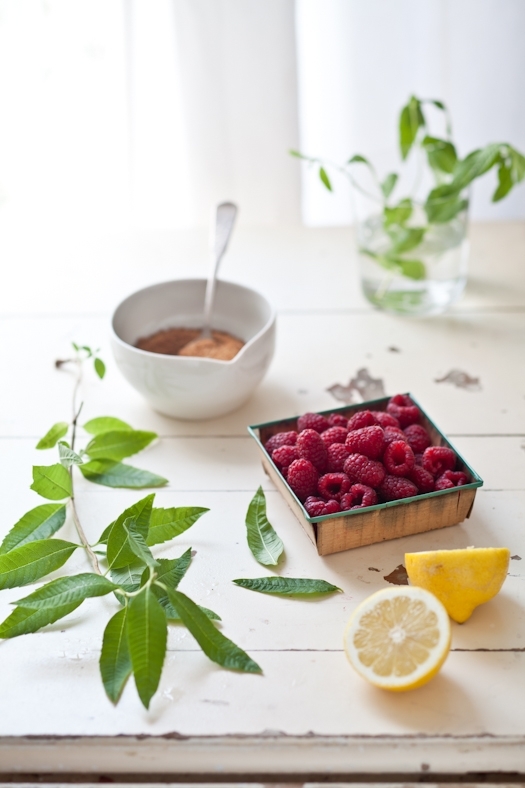 In a large non reactive bowl, mull or mash together the raspberries, 1/4 cup sugar, lemon juice, Port and lemon zest. Remove about half that mixture and place it into another mixing bowl. Whip 1 1/2 cups whipping cream to stiff peaks. Fold in the reserved raspberry mixture and spoon on top of the shortbread cookies. Top with the reminder raspberry mixture. 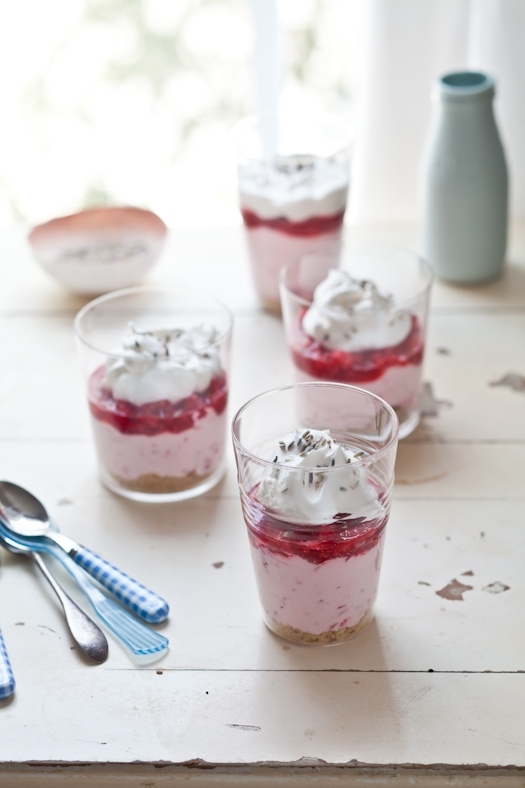 Whip up the remaining whipping cream to stiff peaks with the reminder of the sugar and dollop that whipped cream on top of the raspberry mousse. Refrigerate until ready to serve. Sprinkle with lavender buds if desired. Note: feel free to add a splash of vodka or Cointreau but this is what I drink all day long, alcohol free of course, when the temperatures are all over the map hot. 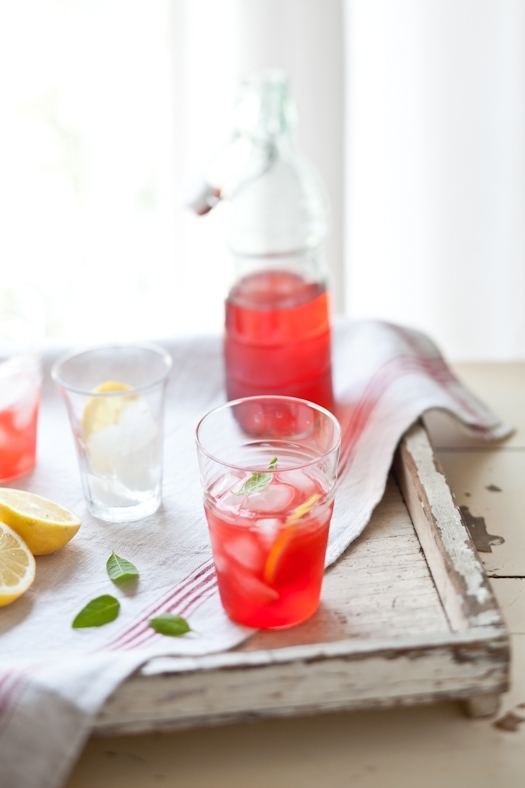 Place the strawberries, sugar, lemon juice and water in a heavy bottomed saucepan. Bring to a simmer and cook until the strawberries break down and release their juices and the sugar is melted. Cook for about 10 minutes on low heat. Remove from the heat and throw in the lemon verbena. Let steep and cool until room temperature. Strain through a fine mesh sieve. 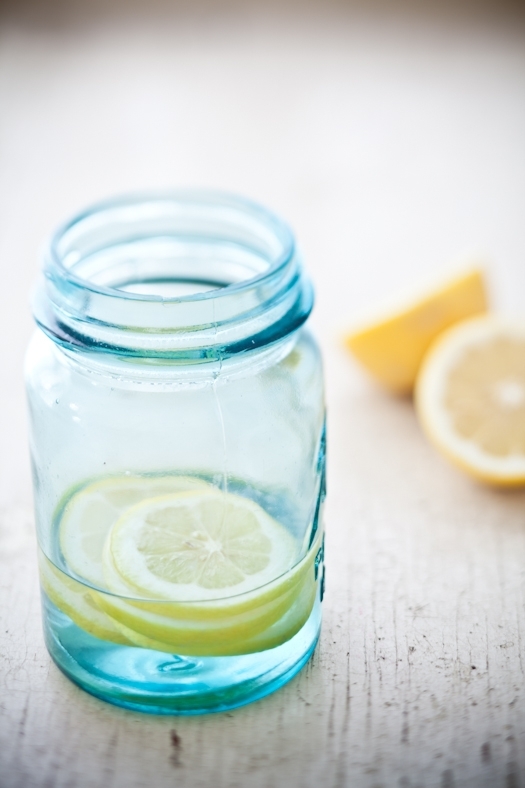 Use as a flavoring syrup to ice cold water so a little or a lot, depending on your tastebuds. Congratulations on your big and exiting move! You are sooo brave to do something I can't imaging doing - living in Alabama. The place sounds amazing. Karen: all my images are parked on Flickr but not all are made public on Flickr because I don't want it to be a dumping place for images. Usually a couple per post become available to pin in the next few hours after I post, if I am at the computer long enough to change their status or a few days after. Phi: Alabama is far from being a bad state. It has come a long way...Sounds like you are do for a visit there. Helene, I've always admired your photos. They are full of freshness and life. Thank you for sharing! Congrats on your move! And on your optimism and excitement overriding what I'm sure must be very stressful. I also love that you're still hanging on to summer... the whole world seemed to welcome fall so quickly that I feel like summer never got its proper goodbye! Welcome to Birmingham! I really enjoyed hearing you speak in January at Food Blog South. If you need any ideas on where to shop or eat, please message me. I worked at Southern Progress right out if school and it is a lovely place to work. You can reach me via my google account or the Facebook page for my blog: www.facebook.com/endlessappetite. Congrats Helene and thanks for sharing so much of your experience with us. It's exciting to read about! 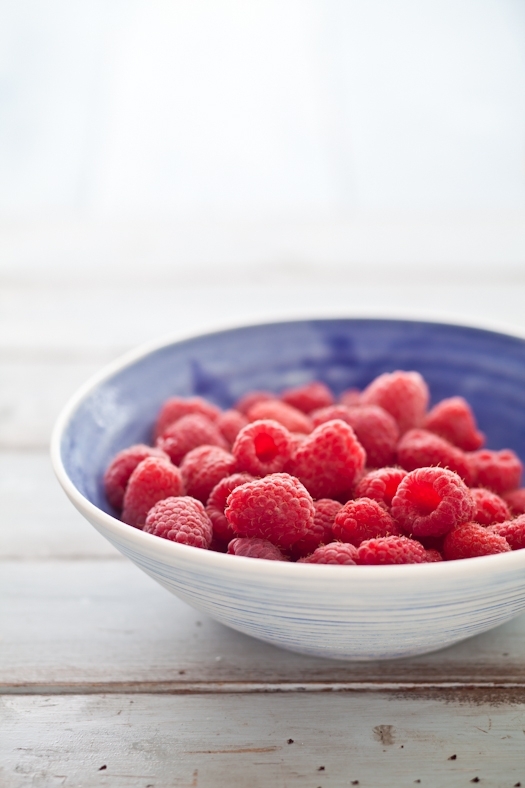 That bowl of raspberries is so simple and beautiful - I'm always inspired by your amazing photos! What an amazing post, you don't stop for one minute and are truly an inspiration. Congratulations on finding a place in Birmingham, I am sure you will be able to enjoy a little bit more of summerlike weather there than up North. I've never heard of syllabub but it sure sounds good! House looks beautiful! I'm sure you'll love Birmingham! Congrats on your move. It sounds like things are going swimmingly. I look forward to your new digs showing up all over the blog. 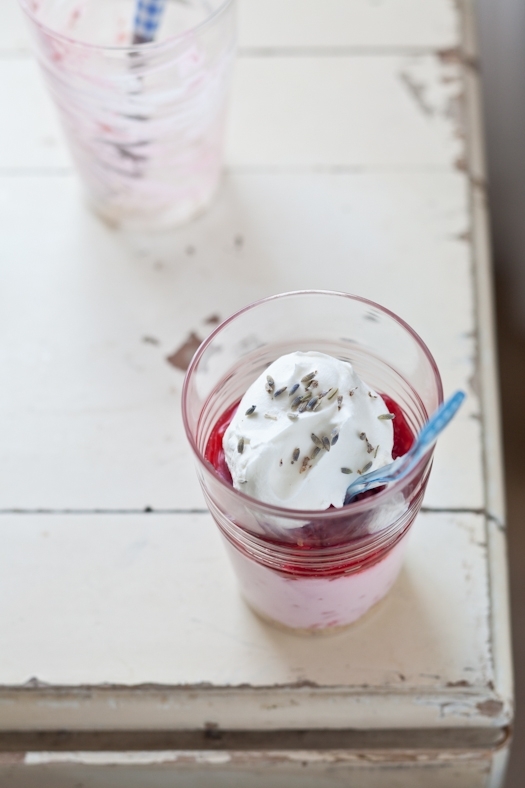 I will buy the best raspberries I can get my hands on and make this (halved, because we are only 2 people). It looks stunning. hwllo! im 3 quarters through your amazing book and i was just wondering - would you recommend vinyl wooden backdrops? Looks beautiful and, of course, delicious! I have to admit I've never heard of syllalub before but it looks delicious. I think anything with a tart berry tastes wonderful. Being based in Korea I'm not able to find delicious desserts like this easily. Great dessert! I really like your post! You did a great job! this one looks delicious! Oh Buddha, i wish i had a kitchen here. Today, your fabulous work featured in our blog ;) We LOVE it!! Moving is always so exciting! So is anything with raspberries in it! Welcome to Alabama! Birmingham is a wonderful city. I know you'll love it! I'm so excited for your new life chapter and look forward to reading all about it! I cannot drive without falling asleep either. And yes singing works - to loud music (so you don't actually hear yourself sing).